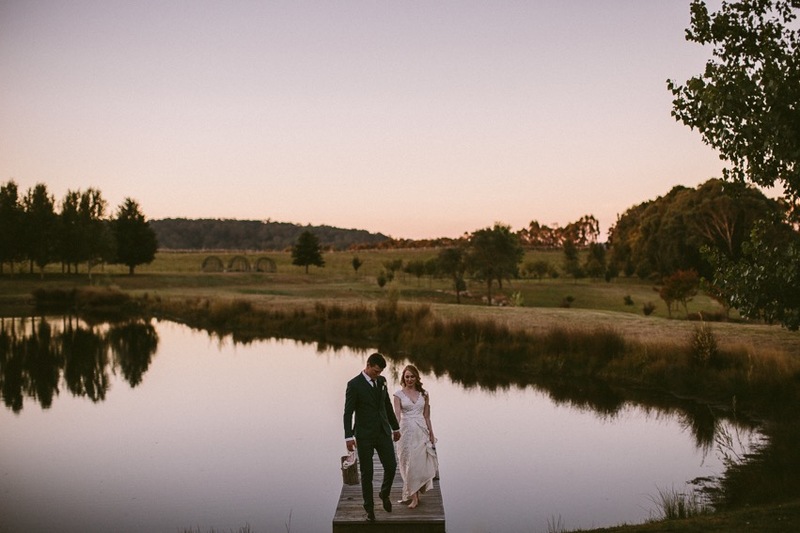 Welcome to Waldara, a destination wedding venue in country NSW. Journey two and a half hours from Sydney past the Blue Mountains and arrive at an elegant working farm in the picturesque Oberon countryside. Think luxurious, rustic, romantic, relaxed, exclusive wedding venue perfection. If you’re looking for a stunning blank canvas for the bespoke wedding of your dreams, just add great food, great people, some bubbly and a few personal touches and let Waldara provide all your venue essentials. You will have Waldara all to yourselves when you stay for your wedding weekend with 20 of your nearest and dearest. Enjoy exclusive use of Waldara’s two gorgeous on site houses. Relax, get excited, wake up at your wedding venue and feel those wedding vibes! Want to know more… How much? What’s included exactly? Are there any great suppliers or accommodation options for my guests in the local area? Download our Wedding brochure PDF at the bottom of this page. Ever wondered what your dream wedding would look like? Look no further than the picturesque Waldara Farm - a working farm located just outside of Oberon. For ONE day only, we’re opening our gates to the public so you can see for yourself why there’s no wedding like a Waldara wedding. Complimentary entry + champagne on arrival. Register HERE to secure your spot! If you would like to arrange a one-on-one chat on the day, please contact us at bookings@waldara.com.au or call us on 0475 981 571.